To use Confluent Control Center’s Stream Monitoring feature, first you need to install the Confluent Metric Interceptor on client machines. Detailed instructions for getting Confluent Platform clients are provided at Installation. Stream Monitoring can be used to view data from multiple Kafka Clusters - all metric data from the interceptors is tagged by Kafka cluster id and aggregated in Control Center by cluster id. There are two general strategies for configuring interceptors: mirrored and direct. By default interceptors send metric data to the same Kafka cluster they are monitoring. 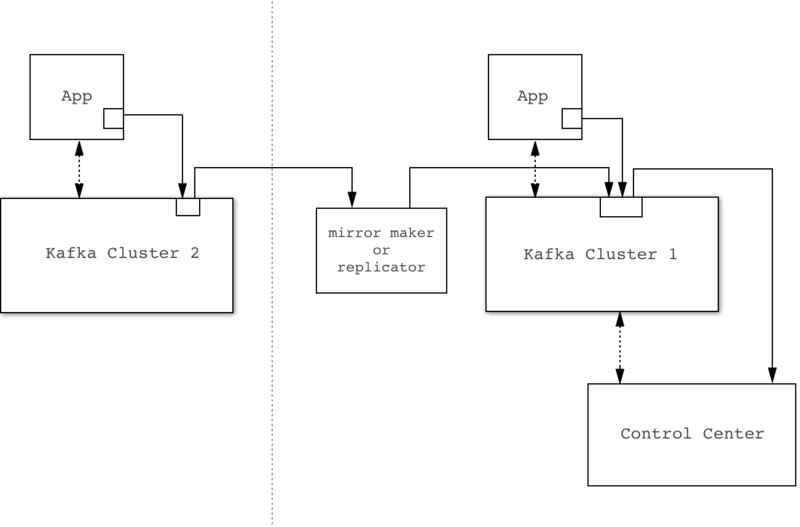 You can use MirrorMaker or Confluent Replicator to transfer and merge this data into the Kafka Cluster used by Control Center. Example mirrored configuration. Solid lines indicate flow of interceptor data. If you are not already using MirrorMaker or Confluent Replicator, this adds another component to your system to manage. Availability problems in the Kafka cluster being monitored will affect delivery of interceptor metric data. You can configure interceptors to send metric data directly to Control Center’s Kafka Cluster (which in general may be different from the cluster that the Kafka Client being monitored is connected to). The primary advantage of this approach is that it is robust against availability issues with the cluster being monitored. The primary disadvantage is that every Kafka Client needs to be configured with the Control Center Kafka cluster connection parameters. This could potentially be more time-consuming, particularly when security is enabled. You can use an existing Kafka cluster as the ultimate destination for interceptor data and for Control Center internal requirements, or you can configure a dedicated cluster for this purpose. The primary disadvantage of using a dedicated cluster is that requires additional setup and maintenance. Ease of upgrade. Future versions of Control Center are likely to take advantage of new features of Kafka. 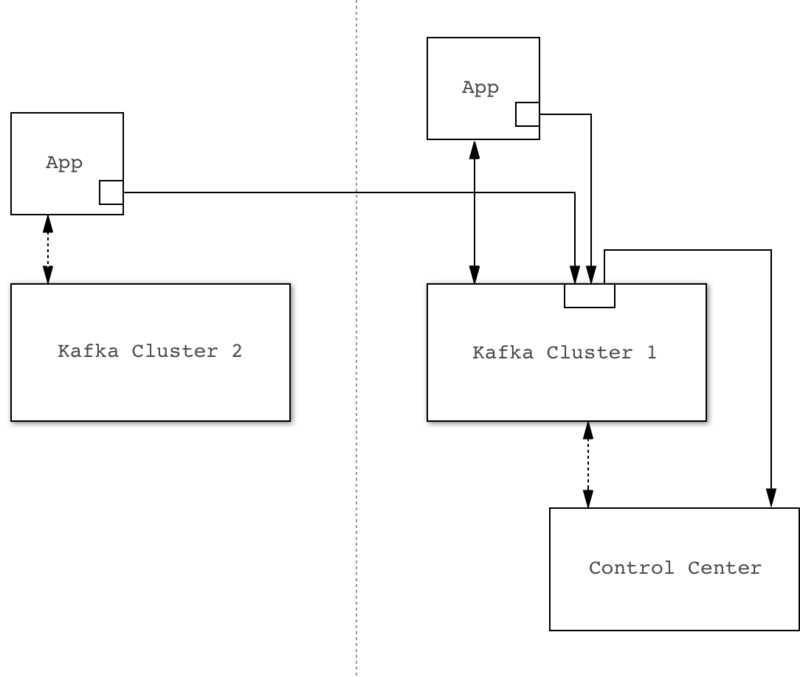 If you use a separate Kafka cluster for Control Center, it may be logistically easier for you to take advantage of new features in future versions of Control Center. This cluster may have reduced security requirements that could make it easier to implement the direct strategy described above.